Known as a must-have edge tool for any kit, the Winkler Neck Knife is a great lightweight carry option for anyone that needs a small yet impactful tool on the field. A fixed blade knife with an overall length of 7 inches and weight of 3.4 ounces, the knife is a great compact tool, either as a companion in a full kit or as a stand-alone carry. 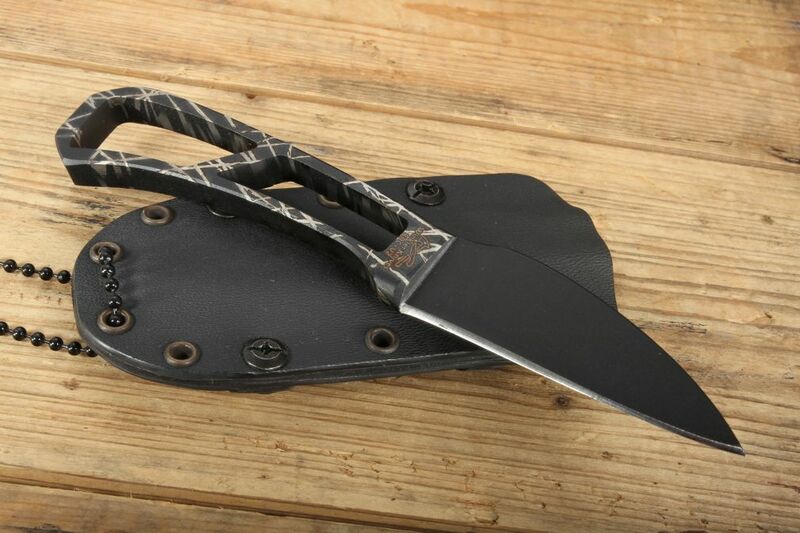 The Neck Knife blade is 3 inches long with a thickness of 0.19 inches. Made with the black KG Gun Kote finish on the 80CRV2 steel blade is impact-resistant and solvent-resistant, making it a durable and long-lasting knife through changing conditions. 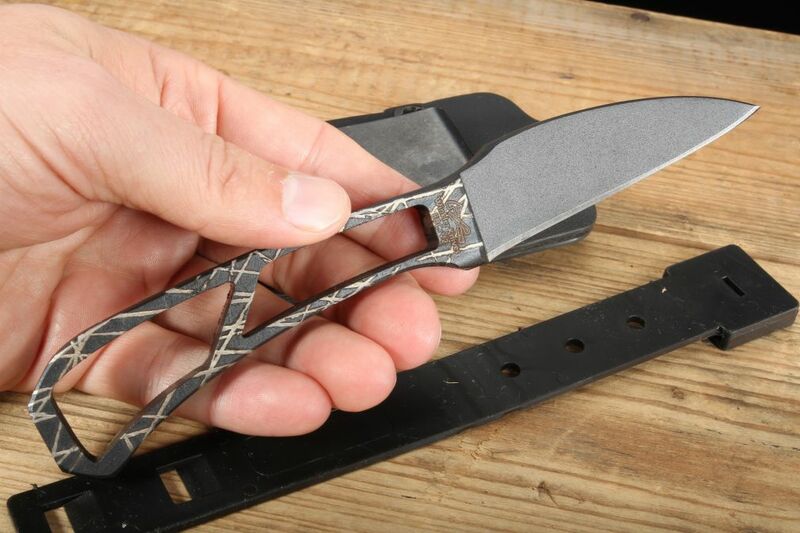 The Wharncliffe blade style is perfect for utility uses and makes it easy for the blade to cut and slice through strong and tough materials, such as cables and cords. The scarred finish 3.875-inch steel handle with its skeleton profile makes it easy to hold and grip while maintaining a lightweight. Overall, its steel minimalist handle makes it easy to carry, especially around your neck. 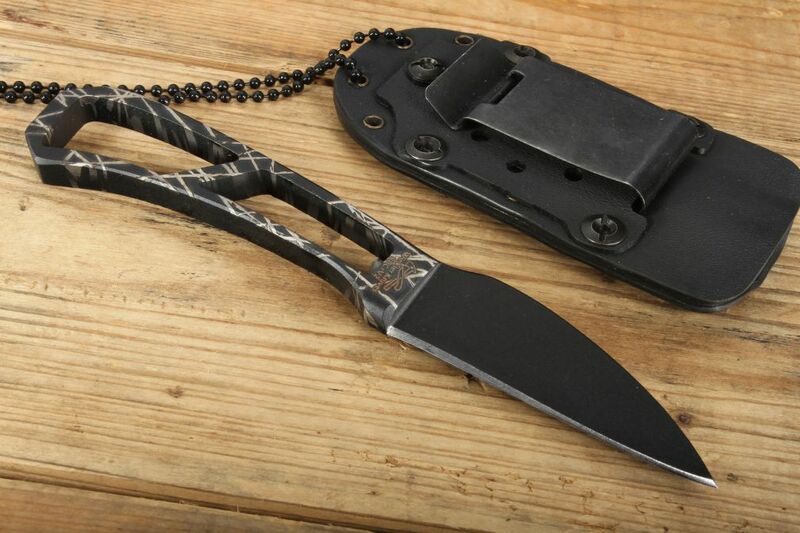 The knife comes with a Kydex sheath that can be used for a molle carrying system or belt loop. It also comes with a lanyard hole and removable chain lanyard. 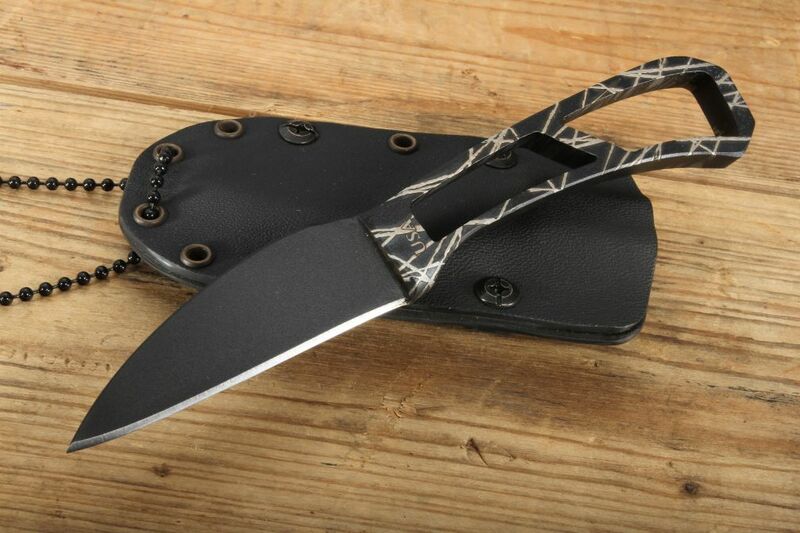 Overall, the small profile of the Winkler Neck Knife makes it a great tool for sportsmen, rock climbers, campers, and tactical team members. By ordering with KnifeArt, you'll receive your authentic Winkler knife with free U.S. same business day shipping. As always with any order, we offer you our KnifeArt satisfaction guarantee policy that makes sure you receive only the best or your money back. This is my fourth Winkler II knife. Like the belt knives and the Operator, it is robust, as is the sheath, especially for a neck knife. The handle is actually comfortable and usable, despite what it looks like. I would catagorize this knife as a study in compromises–not the best for any application, but acceptable for almost every application. One thing for sure, it is not going to break if you use it for any reasonable purpose, and probably if you use it for unreasonable purposes. I'm happy I bought it, but for my everyday uses, I will not carry it. There are better choices. But if the you-know-what hits the fan, I will reprofile the edge to make it a better slicer, and leave my other neck knives for more civilized times.